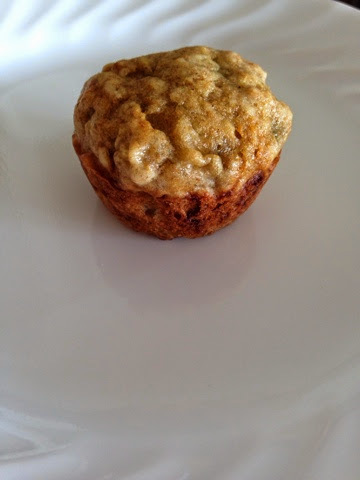 I have been experimenting with new muffin recipes for the past few weeks. I am looking for something that I can make ahead of time and the kids can eat them for breakfast. I have not had much success lately either. So, today I went back to the drawing board (or the pantry in this case) and I finally found a winner. 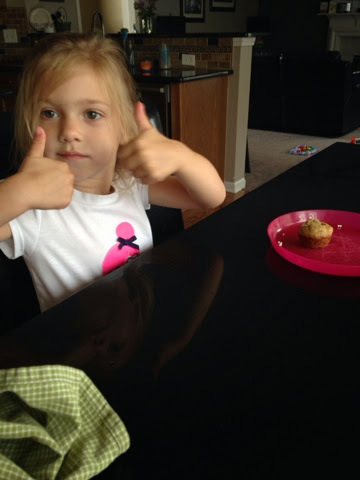 This one is as healthy as a muffin can be. No oil (other than some cooking spray) or butter. They are soft and super fresh tasting. Mix wet ingredients first, then fold in the dry. Liberally spray a mini muffin pan or use liners. Check with a tooth pick, let cool and eat. 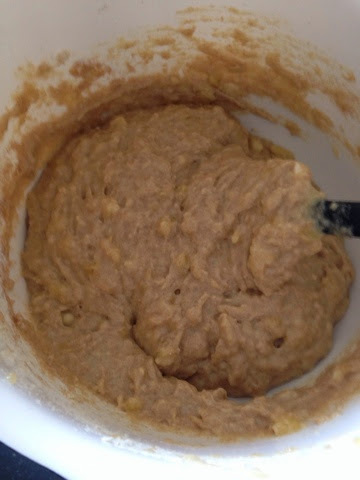 Combine wet ingredients and the fold in dry ingredients. 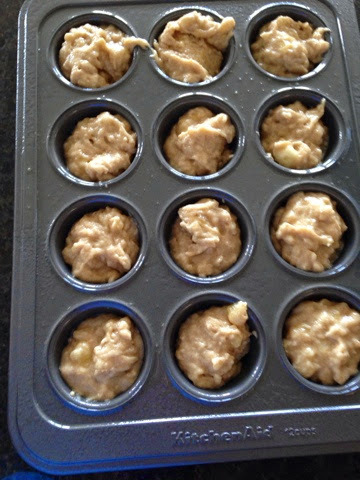 Scoop into mini muffin pan that is either sprayed with cooking spray or use liners. Bake 12-15 minutes at 350 degrees. Tooth pick will come clean will they are ready. I made one muffin tray without nuts and then added 1/2 cup of chopped pecans into the rest.